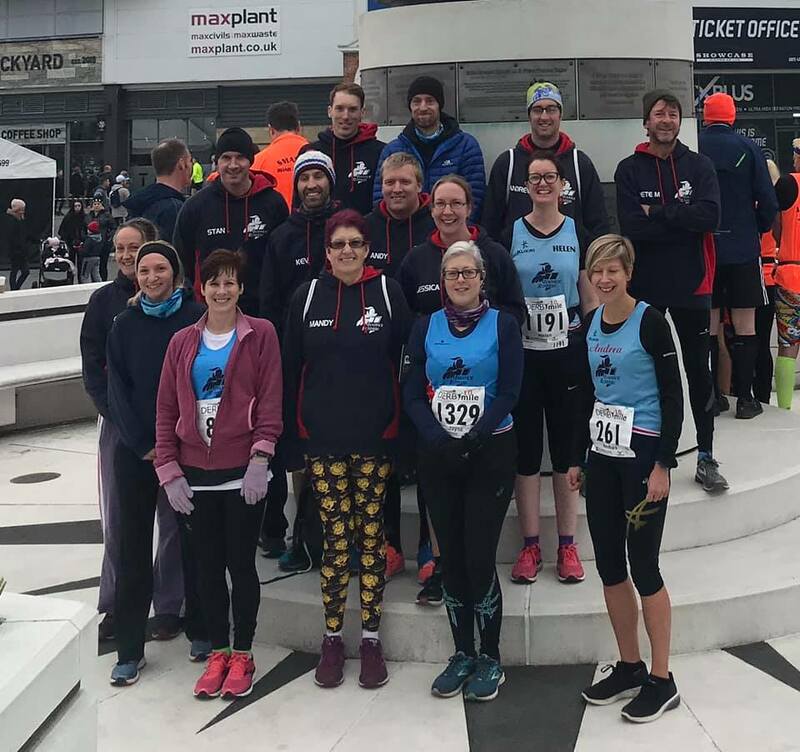 The Derby 10 mile event on the 25th November saw a good turnout of Ivanhoe runners, many chasing last minute standard times and seasons' best for the year over this fast, flat course. Alistair Chambers was first over the line for Ivanhoe in a typically swift 1:03:56. Andrew Stanley came in second for the club at 1:08:17, ahead of Karl Wideman pacing Emily Wideman to a very impressive new personal best time of 1:13:08. Kev Laz also scored a new PB time clocking 1:14:40, pipping team mate Patrick Horn to the post in 1:14:49. Andrew Bottrill finished the race in 1:15:27, while Andrea Trickett clocked yet another personal best time in 1:17:22. Peter Mouncer made a welcome return to racing, clocking 1:18:26, ahead of Andrew Jones who crossed the line in 1:21:12.